What could push the already piping hot San Francisco housing market into the stratosphere? How about a surge of new millionaires and billionaires? The market is ramping up in anticipation of the wave of IPOs by Bay Area tech companies expected this year that could make a large number of stockholders super-rich overnight, according to the Wall Street Journal. Agents say buyers are moving quickly to scoop up homes in fear that a wave of newly wealthy stockholders will send prices even higher and push them out of the market. 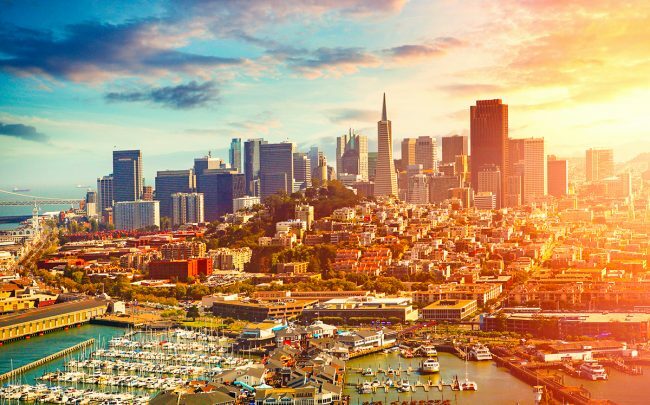 Price growth in the high-end market slowed somewhat in San Francisco last year, but it remains one of the most expensive markets in the country. A November report by Trulia found 80 percent of homes in the metro area were priced above $1 million, more than anywhere else in the country. Ride-sharing service Lyft went public in March, while companies including Airbnb, Uber, Palantir, and Slack are all expected to go public by year’s end. Stockholders are typically barred from liquidating their holdings for six months or so, meaning many could be ready to buy within a year from now. Sellers are debating whether to hold listings for that crop of would-be buyers. Listings in San Francisco dropped 20 percent year-over-year in the first quarter, Compass chief market analyst Patrick Carlisle told the Journal.